DARIEN — Growing up, Warren Pena was taught to look out for two all-American establishments: the Duchess on Route 1 and the Dunkin’ Donuts on Main Avenue. They were signposts that you were leaving Norwalk into Darien to the west or Wilton to the north. “Those were our landmarks not to cross into those surrounding towns because more than likely, you’d get pulled over,” Pena, a Norwalk resident, said. A new report released Nov. 9 showed Darien and Wilton remain outliers in the state for the percentage of minority drivers — Hispanic in particular — pulled over by the police compared to the city’s demographics. In addition, Darien, along with Ridgefield, Berlin, Monroe, Newtown, Norwich and State Police Troop B in North Canaan, was flagged for exhibiting “statistically significant” disparities in traffic stops of minorities compared to white drivers. The Connecticut Racial Profiling Prohibition Project, as compiled by Central Connecticut State University, looks at department-submitted raw traffic data from October 2015 to September 2016. Nearly a third of stops involved minority drivers, although only 7 percent of the driving-age population in Darien were minorities. Nineteen out of 20 minority drivers pulled over in the town were from somewhere else. Breaking the data down further showed nearly 97 percent of the Hispanic drivers stopped were not residents, an increase over the previous report. According to data from October 2014 through September 2015, only 94.5 percent of Hispanic drivers pulled over were not town residents. Darien Chief of Police Ray Osborne said the department is aware of the study and will be meeting with the project managers to look at the data and get clarification and followup analysis. He added he has concerns about how the report got its estimated driving population to get their results. In a written document dated Sept. 7 to the president of the Connecticut Police Chiefs Association, Stephen M. Cox, a professor in the criminology and criminal justice department at CCSU, pointed to problems with the report as part of a peer review of one portion concerning 2014-2015. One point of contention for Cox was the way researchers determined the number of drivers in a given municipality. “The use of population-based benchmarks and descriptive statistics to approximate towns’ driving populations has weaknesses and are not recommended to be used nor presented in these reports,” Cox wrote. Darien’s police chief said the estimated driving population numbers used in the report include census numbers of people who live and work and town but does not consider pass-through traffic, which includes people coming off of Interstate 95. Both Osborne and the report noted Darien does border two larger, more diverse cities: Stamford and Norwalk. 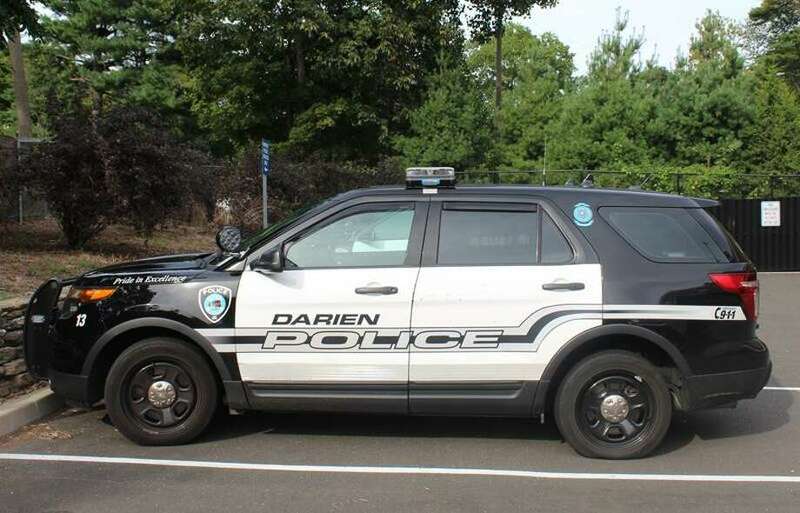 Osborne said Darien police have their own rough estimates of the town’s driving population, based on unofficial studies and are willing to work with the authors of the report to see how they got their numbers. The department is also looking into gathering its own numbers through professionals. According to the department, this is the first time they’ve been flagged in any of these reports, which began in 2013.